Feeding and Energizing Your SUN! The Sun Sign is like a key which enables us to turn it to reach a particular channel of consciousness that vitalizes our essence physically, mentally and spiritually. A weak Sun enables us to fall apart easily, feel physically weak, disoriented and depressed. We need the Sun, the Light to energize our heart–our spirit here. When our Sun is healthy we feel strong and able to handle the challenges of life. We should each know what it is that nourishes us and helps us feel our own power—and astrology can help us. We should know and study the sign of our Sun and that’s the reason for today’s post! I will list each Sun sign and a line or two about what you need to nourish your body, mind and soul to keep yourself healthy and energized—we should know how to feed our Sun; how to bring more Light into our body, mind and spirit so that we can feel happy here! The Sun is thought to be Male energy—the animus as Jung called it. 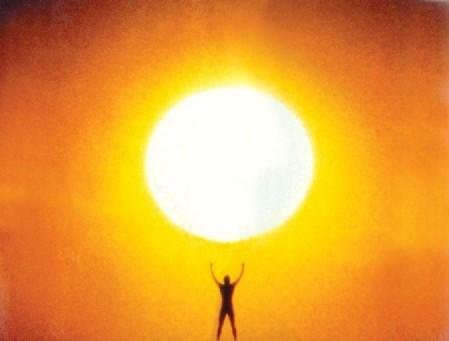 Our Sun is our Life Force (as above, so below)–it’s our Prana and it helps us with our creative expression here. More basically it is what produces our will to live and so we should know how to nourish it. Nourishing (feeding) our Sun is what helps us to feel confident and it is different for each of us, based on our birth data. You need fire and to express courage and a pioneering spirit and be out front or first in anything you do. Any activity that encourages such things will feed your Sun and help your life force sparkle and shine brighter. You need excitement and to try new things—as many as you can even if you don’t follow up with everything you start, you need those exciting “new starts” often and in some form in order to feed your Sun and help you feel confident and alive . You need earth and to express your very practical ideas in any way that you can. You are good at handling resources and expressing this skill helps you to feed your life force and feel confident. When you work with money/finances you shine just like you do when you express your strong tastes in creating beauty with earth resources. When you care for your physical needs and comforts, you energize your body, mind and spirit. You need air, mental, thought to energize your sense of dualism—and when you can hold two views at the same time or unite two sets of opposites, this helps you to feel confident and powerful. When you allow yourself to use your natural born gift of observation and combine that with words in any way—shazam, you are really rocking and feeling your light grow brighter. Mental stimulation in any way, shape or form energizes you and when you talk about things this too helps body, mind and spirit unite—expressing yourself does it for you and helps you feel vital and alive. Water, emotions and security are the key words here that feed this Sun and help people in this sign feel strong and vital. Home, family and tradition and things to do with the past help you feel a sense of purpose that enlivens your body, mind and soul. Building a sense of home and doing that groundwork for that purpose feeds your sun and helps you feel more powerful, confident and alive – you take the past and create a self-image from that making an identity that helps you feel more yourself. When you care for others and protect and nurture them, this feeds your own Sun—your life force. 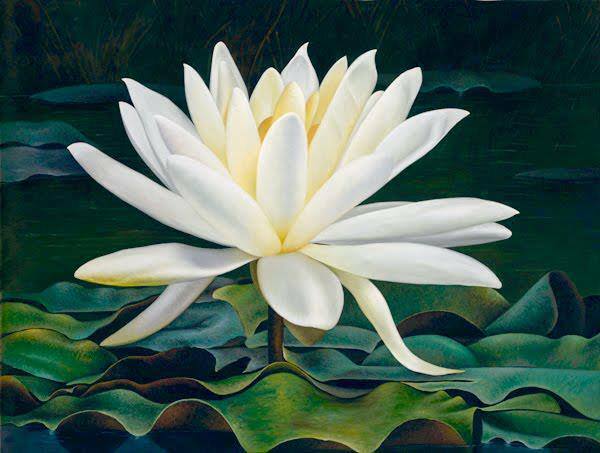 If you don’t use your deep feelings to care for others, you feel more vulnerable and loose energy; however, if your home or security are threatened this enables you to find your Sun and call upon your own natural inner strength making you aware of it and this ultimately enables you to feel more alive, confident and purposeful. This person needs fire, passion and awareness of self and feels enlivened when in any kind of central position or at the core of anything that is going on. If this type of individual is not feeling popular with others, it can dampen the spirit and it’s like put a blanket over their life force. The person born under this Sun will feel the need to reach the pinnacle of achievement in some area but must also remember to have fun so that work and pleasure are in equal measure—if not, the life force depletes and the Sun is not being fed. There is a susceptibility to flattery from others until this individual can learn how to nourish their own Sun by self-acceptance and true self-awareness. Humility, compassion and modesty and an urge to be of service and make a significant difference in the world in a hands-on and grounded way that is practical and useful; this is what feeds and nourishes the body, mind and spirit of those born under the Virgo Sun. 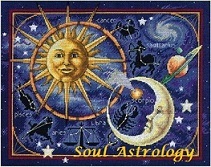 Other Sun signs can take advantage of the service oriented Virgo nature who likes to work behind the scenes. Satisfaction comes from giving attention to details and by pursuing a natural interest in healing—those activities feed the Virgo Sun helping this individual feel confident and vital. The emphasis here is on non-self or the ‘other’ and on anything air related such as writing, speaking and in any way ‘relating’. When the person born under this sign is uniting with others in some way there comes a feeling of wholeness and balance and harmony. A person born under this Sun has a consideration of other people’s feelings, such as even if this person is expressing anger it is on behalf of another rather than self. The Libra soul really has a strong need to justice and fair play and working for the benefit of others is what enables this soul to be energized and feel confident and vital. The person born under this Sun has an urge to fight an conquer foes whether real or imagined and the need is to slay a dragon of some type and so here feeling the power of tenacity makes on feel alive and vital. There’s an innate need for passion and sometimes engaging in activities to the point of obsession but this level of intensity is needed in order to feed body, mind and soul. If the person can dig deeply for the truth even to the point of doing research in some way to find the deep bottom-line answer, then the life force is energized. Anything involving psychology and learning about the motivations of others helps the person born under this sign to feel vital, alive and generally purposeful which feeds their life force. Expansion of the solar forces to their fullest potential happen with those born under the Sag Sun and there needs to be a wide field or area for this person to express their life force energy. Here we have individuals who have a huge abundance of tolerance naturally and when this is being expressed, the Sag person feels that sense of purpose being fulfilled. Honesty, freedom and optimism and cheerfulness need to be allowed expression in order for the person born under this Sun to feel confident and vitally alive. The naturally restless spirit of the Sag Sun individual is soothed by experiencing some type of adventure and having an expression of freedom in their life in some way. Teaching helps someone born in Sag to feel vitally alive, purposeful and thus feeds that life force, their Sun. Travel or planning a trip is also something that a Sagittarius can do in order to feed their Sun! The Sun’s rays are usually weaker during these months but inside this individual there is a quiet drive that is powerfully present and needs feeding. Anything requiring tenacity and determination will feed the body, mind and spirit of this individual. This person needs a goal and something to master in some field or endeavor and has what it takes to endure hardship and to overcome obstacles and when these hardships and obstacles are overcome, the life force is revitalized. There is purpose on the path of overcoming life that feeds this person’s body, mind and spirit. This Capricorn Sun needs responsibility and can thrive on it! The person born under this Sun thrives on cooperation with others; and without it their life force fades and wanes. Personal satisfaction comes from considering others first and in fact self-promotion diminishes one’s feeling of power and confidence. Sharing with others and humanitarian concerns rule this individuals deepest inner desires and help one feel the life is being well-lived and furthers the feelings of brotherhood and friendship that keep this Sun fed. Technology is also a place wherein a person born under this sign can shine and feel confident and purposeful; so developing technical skill helps one feel like shining even brighter especially if the technology enhances other people’s welfare. The solar forces are probably the weakest here in those born under this sign. Yet, in times of adversity, the solar spark ignites and inner strength asserts itself. Here we can see folks who can be very resistant but in a very passive way but the resistance can be arduous and formidable. The person born under this sign feels confidence and life force grow when expressing adaptability, tolerance and compassion. If the person born under a Pisces Sun works on behalf of those less fortunate this generally motivates their life. So, therefore, charity work and healing work are of benefit in feeding the Sun of those born under Pisces. The thing here is that the individual is basically very kind but others perceive this as weakness and then take advantage; therefore, boundaries are crucial for those born under this Sun Sign. If anything in the arts using imagination are pursued (music, dancing, etc.) this can feed the Sun here since those born with a Pisces Sun have a strong imagination. Grounding, naturally, is something that should be balanced with the imaginative nature. I hope this little list will help you to know how to feed your own Sun and also for you to know a bit about how to help your family and friends enhance their life force as well. May this information reach the right people and the right time in order to make a positive difference in their life and may their life force be energized beyond measure for the good of all.